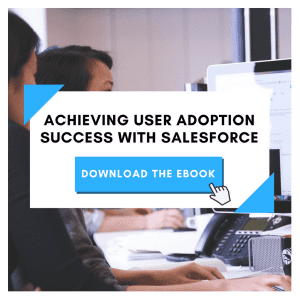 With the Salesforce Spring ’19 Release, there are many improvements to system features and functionalities, especially when it comes to Surveys and Search. While the release is still in preview mode, users can look forward to seeing the features become accessible with General Availability in March 2019. If you’re in preview mode, here are some improvements you’ll notice with Surveys and Search. There are some substantial improvements to Surveys as of the release – we can’t say it enough! They are now translatable, with new question types, and invitations for contacts and person accounts. Expiration dates are also an option now. As far as translating surveys goes, you can now do so in over 10 different languages with the release so that your survey comes in the format of your specific customer. As we all know, personalized service leads to increased customer satisfaction, so this is a win-win all around. There are new question types coming, like a rankable question type to gauge customer interest and preference. When invitations are concerned, you can now generate survey invitations from contacts and person accounts. This was not doable natively before this. You can now decide the exact date that you want a survey invitation to expire, as well. After this expiration period, your customer will no longer be able to fill out your survey. All of this helps you to get more relevant information in a more timely manner to help you avoid gathering skewed data. With the release, you will notice that more details appear in your search results, with more searchable objects. Now, you will see the exact objects that were searched, and exactly how many results turned up from the search across objects. More objects are now searchable as well, such as brand and account relationship, among others. Keep up with the Ledgeview Partners blog for more updates regarding the Salesforce Spring ’19 Release Notes, and other Salesforce tips.